Good Morning TMS friends. I hope everyone had a great weekend and that those who do Halloween are getting ready for little trick-or-treaters. I hope I get some - I love seeing the little ones in their costumes! Congratulations! Please email me at tuesdaymorningsketches at gmail dot com and please enter "Winner TMS #375 Debbie" in the subject box. Thank you so much for joining us and we'll see you tomorrow with another fun sketch by Debbie our sponsor is Patti Rowe. Wow, thank you! 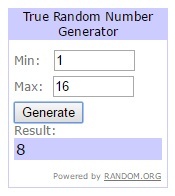 I am so excited to have won the random draw, but very flattered to be chosen as a favorite. Thanks so much! I was honored to be in the favorite picks. Thanks! Congrats to the winner and all the favorite picks.